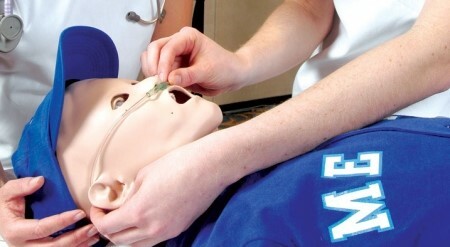 The PediaSim HPS delivers the advanced features of the HPS in a pediatric-sized manikin. The only pediatric simulator with true gas exchange for anesthesia and respiratory therapy, the PediaSim HPS can be purchased as a plug-and-play addition to your HPS system. The latest version of HPS features 50 new preprogrammed Simulated Clinical Experiences (SCEs) for anesthesia, obstetrics, allied health and advanced cardiac life support. 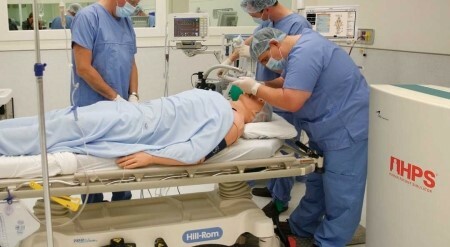 HPS also integrates with CAE learning modules for anesthesia, respiratory care and emergency medicine. Each learning module contains evidence-based training scenarios designed to immerse learners in a clinical environment. The scenarios include learning objectives, facilitator’s notes, equipment and supply list and software application. 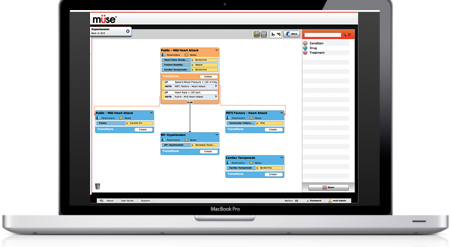 Operating the HPS is simple with the Müse interface. The dashboard features a patient image, conditions and medications, streaming data from clinical monitors, a menu of Simulated Clinical Experiences (SCEs) and a timeline. The patient’s physiology and SCE can be preset so an instructor can focus on teaching.